Does your logistics plans seem to be in the mode of constant recalculating? If your efforts are frustrating and remind you of how your GPS constantly recalculates when you are driving and miss the recommended turns, you are not alone. The first thing to recognize as you develop or refine your Global Logistics plans is that there is NO destination – consider it a journey that does not follow a straight and narrow path. It looks more like a freeway interchange filled with twists, turns and crossing lanes. Just when you think you have figured out a solution, someone decides it’s time for road construction and the detour signs go up. For example, recent earthquakes in Japan are causing aftershocks on the US auto industry, that caused multi-week shut downs due to parts shortages. To navigate through the roadblocks to success, you must have a robust roadmap that provides clear guidance and direction. Having a clear vision of your path and communicating it internally with your staff is critical for your success. Your staff should be able to consistently apply your vision and communicate it with your internal and external partners including key strategies such as end-to-end integration, technology investments, talent management, and global process standards. You also need to be equipped with a robust Logistics Management System. One that provides you with the connectivity and data integration necessary to navigate your global logistics journey effectively. Your roadmap and supporting technology must integrate and take advantage of expanding capabilities in the growth of e-commerce, mass personalization, urbanization, mobile and wearable computing, robotics and automation, sensors and the Internet of Things, data / predictive analytics, and changing workforce. This develops an ability to withstand relentless competition. One of the biggest challenges you will face in supporting your roadmap will be “People”. The logistics industry faces a workforce challenge, with respect to finding good workers, training them and retaining them. Typically, when new employees are on-boarded, little or no training is provided but job expectations are the same as experienced workers. To cope with talent shortages, training and qualification programs are required and strategic cooperation with universities and research institutions is advised. World Class companies continuously raise the bar in defining these standards and your journey can be adapted and upgraded to achieve significant benefits. “Look at others who have done this and steal shamelessly!” Why re-invent the wheel? Whatever you are trying to accomplish, other companies have done it before you and are open to sharing what they have learned. There is no need to “figure it out yourself”. Search out these best practices and challenge your organization to become a World-Class Logistics team. Many of the best practices that impact your Global Logistics efforts can be found on our Blog page so feel free to check them out – it’s a great place to learn interesting improvement techniques. 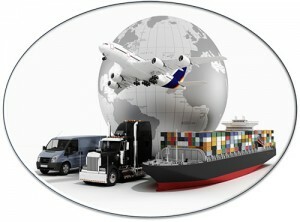 In our next blog, we will cover the nuts and bolts of delivering on the promise of Global Logistics Improvement.